Since Feb 2018 crypto market in a downtrend & if you aware that Ripple which is the world third largest cryptocurrency according to market capitalization is almost 90% down from its all-time high rate. so in everybody's think is this best time to invest in ripple? I really don't know it is right time to invest but we will guide you how to buy ripple from exchanger or wallet. 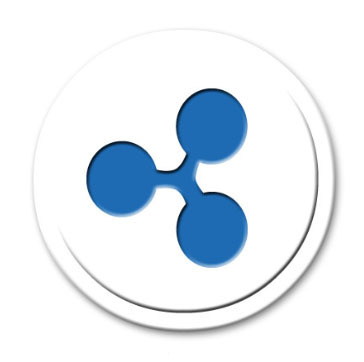 Ripple is a real-time gross settlement system (RTGS), currency exchange and remittance network. Cryptocurrency judge on one simple thing i.e. use of that currency in the market. At this time XRP has great solid use in the cross-border digital payment system. Almost 5 million people around the ripple. 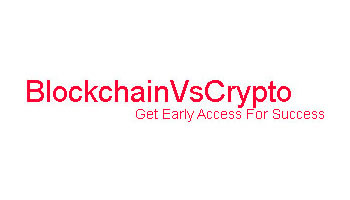 Is the one currency which under 1$ in top 10 crypto so people attract easily. first, you need to know where ripple cryptocurrency trade. Ripple XRP is traded on more than 20 crypto exchanges. Crypto exchanges are the place where you can buy any cryptocurrency with a dollar or any other pair. Take an example of Binance exchange where ripple trade In binance BTC-XRP, ETH-XRP, XRP-USDT, pairs available. for buying ripple you need Bitcoin, ethereum or USDT in your wallet. once BTC, ETH or USDT in your wallet you can easily buy XRP at a live rate. Exchanges I preferred is Binance, Bitfinex, Bithumb, Bittrex, Poloneix, Kucoin, Kraken. By using Bitcoin or any other currency which paired with ripple on the exchanger. Create an account & Login by placing ID and password. After that Deposit bitcoin to your account if you buy with bitcoin. For transferring you need to go deposit section in exchange, select Bitcoin currency for deposit, after that you saw the address for deposit, copy it & paste in send option in your wallet. Bitcoin received or not is confirmed by checking balance in exchange. 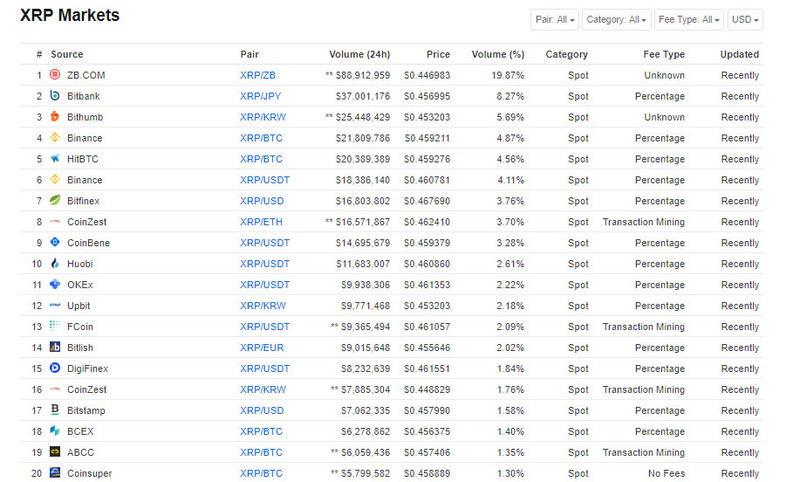 Once Bitcoin deposited successfully, search BTC-XRP pair in market section in the exchange. If you want to buy instantly select market order means you buy in live market rate. If you buy at a particular rate, place a Limit order for a specific price. All top exchanges order filled immediately because of the high liquidity available. Once your order is filled you can show notification of your trade. you can also check your completed trade in the history section.